You are here: Home » ACTION: Spring into Action! Meet Diane. Mother. Professional. Friend. Breast Cancer Survivor. More Than Pink Walk Team Captain. Read more about Diane’s inspiring story and why she will be a part of the More Than Pink Walk on our blog. 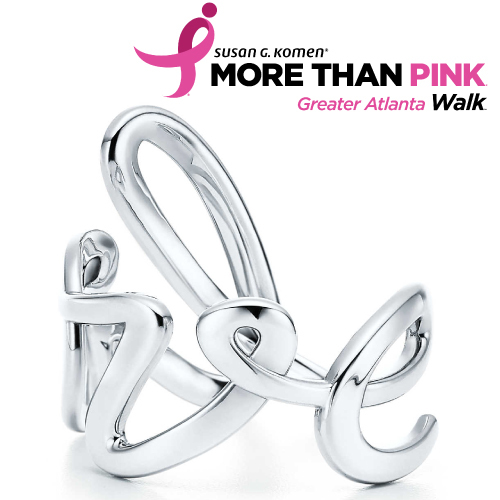 SPRING INTO ACTION and join the Komen Atlanta challenge! Haven’t yet registered? Register here for our MORE THAN PINK Walk and start fundraising for this once-in-a-lifetime prize! 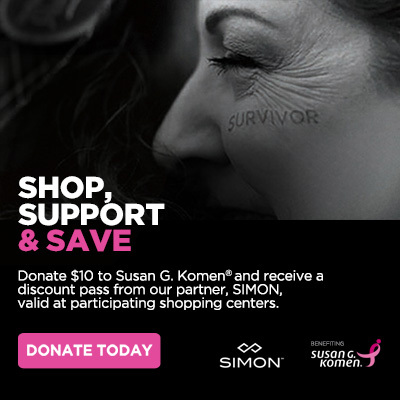 From April 14 – May 20, Simon is offering customers the opportunity to receive a discount pass valid at participating stores by making a $10 donation to Susan G. Komen. Donate now to #ShopSupportSave. Barry’s is firmly grounded in the idea of community and connection. At our core, we are a collective of stories. 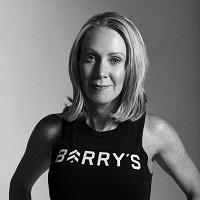 Barry’s will sell a 5 + 1 pack, at our regular 5 pack rate, with 10% of the proceeds going to Komen Atlanta!